This is Steve Farrar Blend that now has UV flash mixed in. 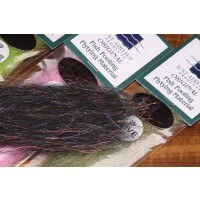 Steve Farrar Blend Baitfish Brush is the SF Blend put into a brush. Wrap it on a hook to build a stiff head, perfect for your predatory baitfish patterns. This is the 2" wide brush from side to side. And the Steve Farrar brush in a 5 inch width. 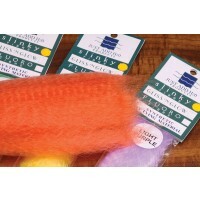 Steve Farrar Blend is a mixture of Slinky Fiber, Slinky Blend, and Angel Hair making it H2O's best selling material. 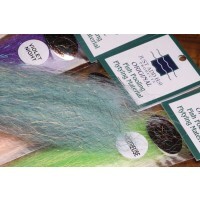 Developed by fly tier Steve Farrar this is a pre-tapered material ready to tie right on the hook. 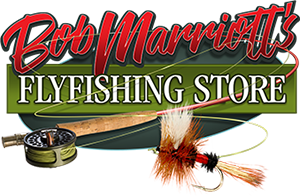 Tie all your baitfish patterns light-weight, water-shedding, extra-strong material. 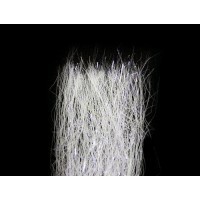 Slinky Fiber is a kinked synthetic perfect for baitfish patterns and streamers. it builds bulk without much material and sheds water fast. 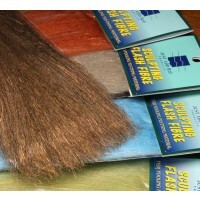 A perfect bucktail substitute. 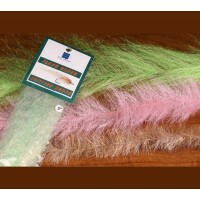 Polar Fiber is a very soft fur-like material, making it a perfect substitute for marabou. 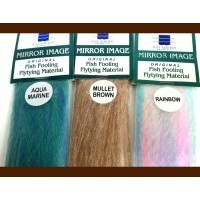 Tie it in for tails or wings as a marabou replacement. Mirror Image is a cotton candy type material that is also translucent. Giving you the ability to have a ghost-like fly with pale coloration through the water. 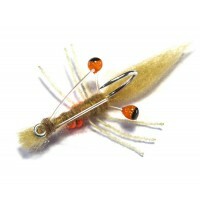 Perfect for any baitfish, streamer, and even crab patterns. So white and so UV, it's nearly impossible to take a photo of! This is a great belly material or a super subtle addition to you're existing patterns to add that UV flair. These Shrimp and Crab Eyes are some of the best on the market. Not only do they come in two sizes of black. Also coming in colors with black pupils that contain spots of sparkle. This gives even more detail when in the water.